"Amazing staff! They are experienced and sensitive to all situations. Great success rate!" "This is honestly the nicest sober living facility I have ever seen and is my top choice as a referral for people when they ask me about sober livings." "Located right on the bus line. Only half a mile from the North Scottsdale Fellowship club. 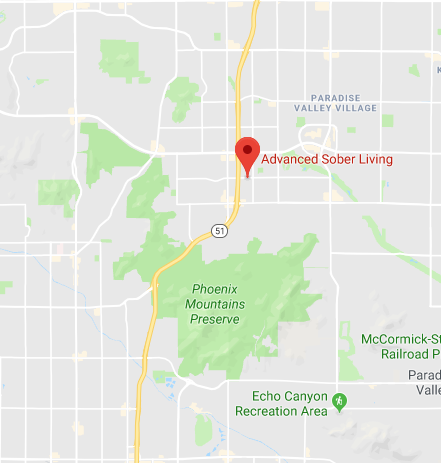 If you were looking for sober living look no further this place is so very very clean New carpet new paint new washer and dryer new refrigerators and new freezers With the best price I’ve ever seen in Scottsdale! every room has its own Big screen TV some rooms have two TVs in them there are two living rooms that have massive gi-normas televisions! All of the beds are doubles. There are four bathrooms for just 10 guys! The director of operations and owners WANT the best for you to get and stay sober long term"
"I been here in advanced for the last three months and has been a great experience. The sober community is huge in my recovery advanced has had a huge impact on that. Great place to live and the incentives really give motivation to have a better life. " "I have been at Advanced Sober Living for over a month now and I love it. The owner and house manager are very involved and available to help anytime I need it. Clean house and safe environment for recovery. If you are looking for a upscale house at an affordable price, this is the place to be."